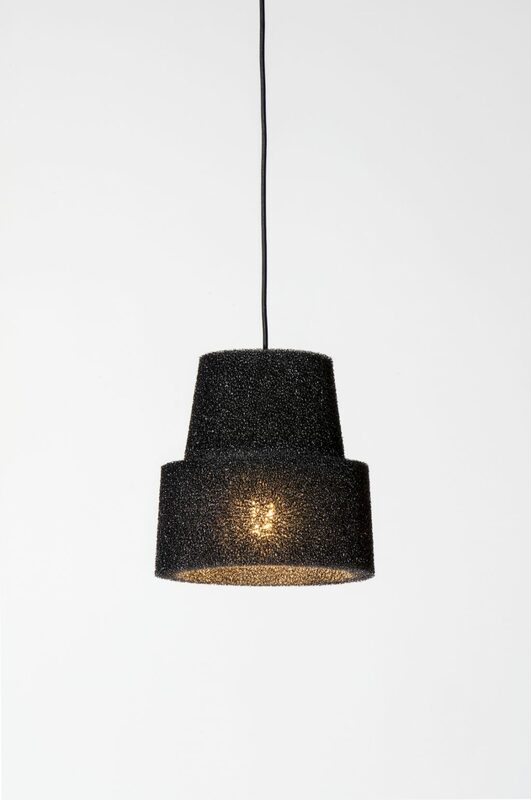 HIILI is a foam lamp made of an innovative, fire-retardant technical foam. Because of its’ light weight and small size it is well suitable for bars, cafes, restaurants and domestic environments. Available in black foam with black fabric cord. The diameter of the lamp is 26 cm and height 26 cm.